It’s really daunting to buy a bottle of wine when you don’t know what you want, or anything about wine for that matter. So, the best way to get yourself through this situation to know the basics. It’s never too late to introduce yourself to the words used by the wine-loving world. This way, you can describe what you really want in a wine, and you won’t find yourself lost in translation with a sad ending of wasting your money on something you don’t even like. These refer to the residual sugar in wine. Dry wine basically means it isn’t sweet because it lacks residual sugar, and sweet wine is the opposite of this. Notable sweet wines include Riesling and Moscato while Sauvignon Blanc and Chardonnay are popular selections for dry wines. Fruity is a flavor element. It’s important to know that if a wine has a ‘fruity’ taste, it doesn’t necessarily mean it’s sweet. It could just be tangy, zesty or has the aftertaste of cherry. Rieslings are famous for having a fruity flavor, but the 2008 Heartland Stickleback Red and the 2009 Matua Valley Marlborough Pinot Noir are bottles you can buy under a strict budget. Jammy wines are wines that combine sweetness with a somewhat cooked fruity taste, reminiscent of actual jams that you use for sandwiches or pies. Popular jammy wines are Zinfandels. Acidity is be described as the crisp but sour or tart taste of wine. All wines have some natural acidity to them, but those that are more acidic work incredibly well with rich food. Tannin is what causes the bitter and dry sensation you get on your palate when you drink wine. “Tannic” or “Tannin Profile” is generally used when looking for great red wine. Remember that the less tannin it has, the smoother it is. This term is a bit complicated to talk about, but it’s the literal earthy taste and/or scent of the wine that doesn’t resemble any kind of fruit, herb or spice. But it does remind you of rocks, soil or cement. Baumard Savennières are known to have high minerality. The finish is the aftertaste that stays in your mouth after you drink wine. 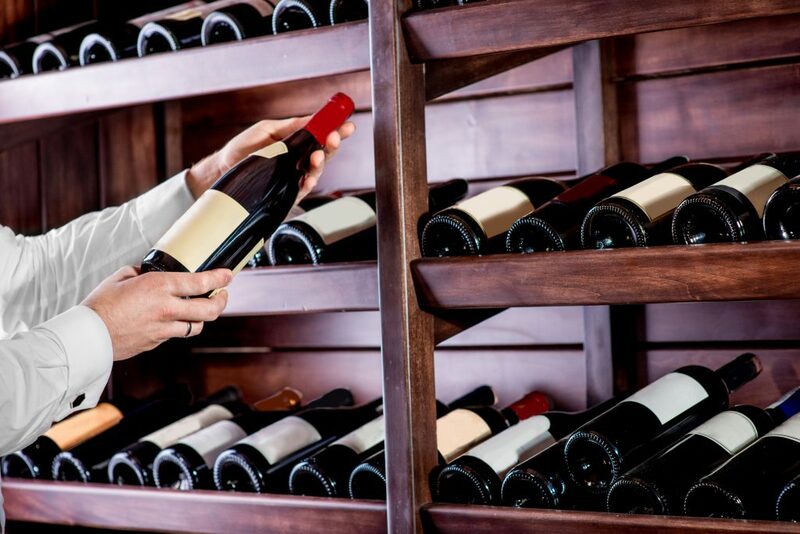 Many experts and enthusiast say that a wine’s finish tells you how good the drink actually is. This is the scent of a wine after it has been fermented inside an oak barrel or a bottle. It’s the indication that a wine has matured over the years (because a bouquet takes years to develop). Oak is used to give flavor, color, texture and Tannin to wine. It’s utilized in different ways. Wine may be stored in huge oak barrels during fermentation or floating oak chips may be poured into the wine during production. Whatever the case, oak impacts a wine’s taste greatly. The Body is the overall fullness of the wine, this includes its sweetness, acidity, bitterness etc. – generally, how you feel about the wine as a whole. Full bodied-wines are strong and are high in alcohol while light-bodied wines are subtle and delicate with less alcohol. A Blend is a wine that’s used with more than one type of grapes. Practically a lot of wines are blends now. They’re not in any way inferior to single-grape wines either. These two words are related. In fact, wines are labelled according to the region they’re produced in, not the grape variety used to make them. However, newer and younger winemakers have broken this unofficial rule and started labelling their bottles with unconventional names. This word has two meanings. First, Vintage is popularly a wine that’s been aged for years. Basically, its “old” wine. Another thing that vintage refers to is the year when the grapes were grown, harvested and made into wine. This year, the vintage, is printed on bottles. Old World is a wine that exclusively comes from Europe. It can also mean that a wine has lower alcohol content, has obvious minerality and higher acidity. Coteaux des Girarmes and the 2009 Chateau Siaurac are some great old world wines. This is a wine that’s from everywhere else except Europe. It also means that a wine belongs to a class that has more fruity attributes. If you’re new to this group of wines, you might want to start with a 2005 Coyam Emiliana, a 2006 Masi Tupungato Passo Doble or a 2006 Poco Mas Carmenere.